Years ago I kept a spreadsheet of all of my TBR books. Any time a new book came into the house, it immediately was entered on the spreadsheet. Then my computer was stolen, and along with it my TBR list. Fortunately, I had a back up. Unfortunately, I had not backed it up in quite a while and so the copy that saved was quite old. With the loss of my original list, I lost my motivation to continue with the list further. It could have been too because I had a baby and was in the process of moving around that time too. I recently re-discovered that old TBR list. Some books I have since read. Others I passed along after losing interest in them. It has been fun going through the list. I not only tracked the date when and location where I got a particular book, but I also sometimes listed who recommended the book, including links to blogs. Sadly, many of the book bloggers who recommended the books on my list no longer blog. They are the Pipers of Cape Breton Island -- a family steeped in lies and unspoken truths that reach out from the past, forever mindful of the tragic secret that could shatter the family to its foundations. Chronicling five generations of this eccentric clan, Fall On Your Knees follows four remarkable sisters whose lives are filled with driving ambition, inescapable family bonds, and forbidden love. Their experiences will take them from their stormswept homeland, across the battlefields of World War I, to the freedom and independence of Jazz-era New York City. Compellingly written, running the literary gamut from menacingly dark to hilariously funny, this is an epic saga of one family's trials and triumphs in a world of sin, guilt, and redemption. How I got it: I bought my copy of this book from Amazon. It came highly recommended by a fellow reader and former blogger, Lisa of Breaking the Fourth Wall. A lot of books landed on my TBR pile because of her. Why I want to read it: Several years ago I read Ann-Marie MacDonald's novel The Way the Crow Flies, which I loved. More than loved. It is one of several books that has remained on my all-time favorite lists for years now. You would think that would make me want to pick Fall On Your Knees right away, wouldn't you? And yet I haven't. The size and fear of being disappointed after loving her other book have made me hesitate to pick this one up to read. I hear it's even better than The Way the Crow Flies. And it's shorter. Both good reasons to want to read this one. The only books I keep track of in any way are the ARCs. Otherwise they're just ... there. I rarely read physical books, so most of the TBR ebooks are out of sight out of mind. Christy - ARCs are the only ones I really track right now. I keep telling myself I should take time to update my book catalog on LibraryThing (where I was tracking books I owned, alongside my own spreadsheet), but it's hard to find the time. I haven't read Fall on Your Knees, but I loved The Way the Crow Flies! Jenclair - The Way the Crow Flies was so good. I would like to re-read it at some point. Although, not being much of a re-reader, I don't see that happening any time soon. Eustacia - Yes, it would be so disappointing! Then I would feel guilty for having such high expectations in the first place . . . There's another author who wrote a book I loved and I've read several of her other books since, and each one has been a bit of a disappointment. So, there's definitely precedence there for my having too high of expectations after reading a book by an author I love . . . I still keep a spreadsheet but don't keep as many details as a lot of people. Anymore, I need it so I know if I have a book or not. Kathy - I keep thinking I should start keeping track again. Maybe clean up the old one. I do track the ARC's and review books, but that's about it right now. Oh, what a GREAT idea, Wendy, keeping track of your TBR list in a database! If only I could EVER be THAT organized....lol. My own TBR list is on Goodreads, through my various bookshelves there, and through my Amazon Wish Lists (I have 56 of them, lol). I'm so glad that you were able to recover your old TBR list. And how did your computer get stolen? UGH. Must have been rough.... I can see why you couldn't get motivated to get the list going again at the time, what with little Mouse needing your care, and all that moving around. So I'm REALLY glad you finally did get the list back! I feel sad, too, that so many AWESOME book bloggers have left the blogosphere.... One of them was Steph, who used to blog at Five Alarm Book Reviews. She was the originator of "Shelf Candy Saturday", which she then passed on to me. Sadly, she deleted her entire blog when she made the decision to stop blogging.... Another TERRIFIC blogger was Kat, who blogged at A Myriad of Books. She had to stop because of heavy schoolwork at college. Her blog is still up, though, if you'd like to take a look. But.... OMG!! I just went to her blog, and I see that she's back!! Her most recent post is dated Friday, July 29th, 2016!!!! OMG, OMG, OMG!!!! I had NO idea!! I'll have to go there as soon as I possibly can!!! So, this book. It sure sounds like a VERY intriguing read!! I LOVE historical fiction, and I haven't read a really GOOD family saga for quite some time! So I'm adding this one to my own TBR (my Goodreads shelves)! Never heard of it before, either, so thanks for featuring it!! Maria - I need to get back into the habit of tracking the books that come in. I do that with review books, but not books I purchase and receive as gifts, like I used to. You have a lot of wish lists! I only keep the one on Amazon. And Goodreads I use strictly for tracking the books I've read. I don't add books I haven't yet read. 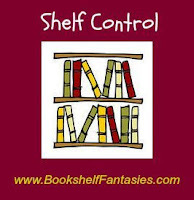 I use LibraryThing more as a catalog for all the books I own, whether read or not. But I've fallen out of the habit of keeping up there as of late. It is always sad when a book blogger decides to retire is or her blog. So many that started around the same time as I did are no longer blogging. I see them on Facebook or Goodreads occasionally, but it's not quite the same. That's cool that Kat is back! I'm glad you decided to look her up again. Yes read it! Sisters, World War 1, family saga - all things I like. I like the sound of your TBR list. I need to figure out something because I have so many books that I don't know I actually have because they've been hidden so long. Katherine - This does sound like amazing read, doesn't it? I really should read it. I understand not wanting to pick up books after loving another book from the same author/series! It's why I have so many sequels and unread books from authors I've read before, because I'm kind of scared I won't like it as much, and then my happy reader bubble will be popped. The book sounds so interesting though! 4 generations of women and all their stories in one book? Wow. Nina - It can be intimidating, can't it? What if I hate it? Sounds like I'm not alone in my hesitation to read more by an author whose work I have loved. I let my spreadsheet fall by the wayside, I'm afraid. I keep telling myself I'll start up again. I do keep track of my review books though--so there is at least that. I used to be very organized about my TBR list but not so much anymore. I do still track all of my read books in a spreadsheet and I love seeing what I read each year. I haven't read this book but I am pretty sure it's somewhere on my shelves! Iliana - Yes, somewhere in there, I lost my organization bug. I do keep track of my review books still, but that's about it. Lisa W - You too, eh? It does sound good. Hopefully you will find your copy and, like me, will eventually read it and love it. At least we can hope, right? I wish that I were organized enough to be able to keep an accurate list of the books that I own. I have books piled on top of books and a kindle archive that is larger than I will ever be able to deal with. This one does sound good. Hope you get a chance to read it soon! Carole - I used to be much more organized than I am. I swear having a child threw me off my game and I've yet to get back into it even after five years . . .
A spreadsheet is a good idea and interesting to look back on an old TBR list. I haven't heard of Fall on Your Knees before. Naida - I really should get back to keeping one. It's just making the time . . .